Our five day Algonquin Park interior canoe trip is geared towards those looking to gain a bit more canoe tripping experience. 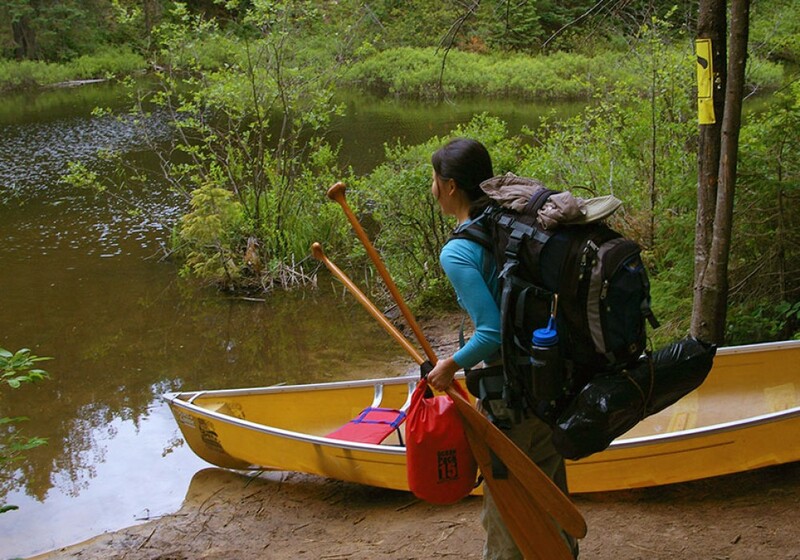 It is recommended to have some overnight canoe camping experience and at least some basic first aid and survival skills. Whether you want to pack your own food or let us supply it for you, we provide all of the gear and planning needed to make your trip a memorable wilderness experience. The circuit trip begins at the Algonquin Park Galeairy Lake Access Point in Whitney or at the Achray Access Point. These big lakes take a while to paddle and are the home to your first night. The route then continues the next day through some spectacular beautiful Algonquin Park scenery. Each access offers a completely different topography. Rolling majestic hills typical of Algonquin Park line the landscape of both regions; however, the Canoe Lake area is more maple forested hills compared to the Achray area. Each day you will be traveling between three to five hours before setting up a new camp. En route you can test your luck for Algonquin Park trout or search the shores of the lakes for wildlife.